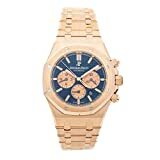 Whether or not one thinks that Audemars Piguet watches are worth investing vast sums of money into and collecting will become clear when you look at the value of a Royal Oak or a Millenary, regardless whether vintage or new. 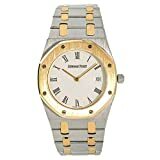 Why is it now so as a matter of fact that Audemars Piguet watches are viewed as a highly prestigious watch manufacturer? This is not a recent phenomina, in fact this has been so for many, many years? What is so special about these watches? How did it all start? What’s their History? 1 How did it all start? What’s their History? 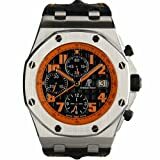 6 What is the Warranty for Audemars Piguet watches like? It all started in 1873 when Jules Louis Audemars who was a technology student met Edward Auguste Piguet an economics student and decided a couple of years later to open a watch factory in Switzerland. Initially it was simply an experiment which surprisingly continued to become an awe inspiring success story. Audemars Piguet produced watches at the time were outstanding due to their precision engineering and high quality. Still to this day those values resound throughout the watchmaking world. Owning a Audemars Piguet is in essence to own a fine, mechanical timepiece made with worldclass craftsmanship and completed to perfection. Audemars Piguet have repeatedly brought inspirational and innovative designs to the watchmaking world and thereby are highly respected. In 1925 they manufactured the worlds slimest pocket watch, closely followed up in 1928 with the world’s premier of a skeleton watch, hitherto unknown. Never before had anyone produced such a watch which revealed its mechanical movements and working through a looking glass. 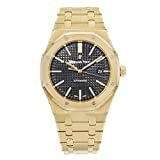 Although from day one Audemars Piguet was fortunate enough to build a great reputation, it was in 1972 that they became one of the most prestigious and successful watch brands in the world with the advent of the “Royal Oak”. A luxuriously beautiful sports watch with a radical and modern design, proving to be the most unique in the conservative industry of watchmaking. The Prestige Sport Collection in 1993 was enlarged with a Royal Oak Offshore which caused instant worldwide acclaimation and popularity, by presenting a special design for extreme sports using a robust 44 mm case. Then in 2003 Arnold Schwarzenegger wore the Royal Oak Offshore T3 chronograph in the movie Terminator 3 which helped it to gain cult status. The 1990’s were concluded with the first hand-wound movement using grand and small strike and a quarter repeater sounding on two gongs (calibre 2868). From 1999 onwards, Audemars Piguet has been working on the renowned Tradition of Excellence Collection, featuring eight Limited Editions of high end watches, each of them limited to 20 pieces in production. The first one was named after Jules Audemars and features the minute repeater, tourbillon and a split-second chronograph complication. 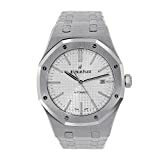 The 30th anniversary of the Royal Oak was celebrated in 2002, with the release of the Royal Oak Concept, an awesome futuristic looking hand-wound timepiece made of titanium and 602 alacrite, complete with a dynamograph, a tourbillon, a linear power reserve indicator and a mechanism to select the functionality. In 2005 the first ever watch was premiered with moss agate plate (a natural semi-translucent mineral), named Edward Piguet Moss Agate Tourbillon. Also in 2005, Audemars Piguet produced the advanced Calibre 3120 self-winding movement with a direct-drive second hand, achieving enhanced durability and precision with the aid of the cross-through balance wheel bridge. The legendary partnership between Audemars Piguet and Maserati, the Italian car manufacturer helped to inspire Auemars Pigue to manufacture a number of ultra luxury watches as part of the Millenary Collection. With the new escapement enabling much higher efficiency and shock-resistance to AP mechanisms, this awesome Swiss watchmaker managed to create several breakthrough timepieces. Good examples would be the Cabinet No.5 for the Tradition of Excellence Collection, the 2007 Millenary Deadbeat Seconds watch and the 2009 Jeles Audemars Chronometer beating at an extraordinary frequency of 43,200 vibrations per hour. The Swiss watch house these days has three main Audemars Piguet collections for men and women. Firstly The Prestige Sport Collection featuring The Royal Oak and Royal Oak Offshore lines. The Classic Collection features the Jules Audemars, Classics and Edward Piguet lines, while the third Contemporary Collection showcases The Millenary watch series. Audemars Piguet do not only rely on design to outstandingly distinguish themselves from other top watch brands. No their watches also stand out because the highest quality materials and techniques are deployed. A good example would be how Audemars Piguet may use black ceramic instead of stainless steel and then machine polish part of it and hand finish the rest to achieve both polished and satin brushed finishes. Also for example using white golden screws shows they know perfection is often in details. This level of perfection in detail also applies to the movements and everything to do with the watch down to the packaging. 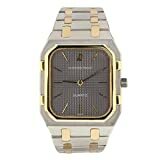 When you buy an Audemars Piguet watch you can be sure to it for many years to come. Another reason why Audemars Piguet vintage watches are mostly to be found in pristine condition! Rarely would you find an example in a bad state. 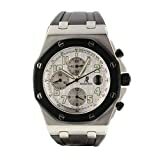 When you hear about the Royal Oak automatically you think about Audemars Piguet, the two are inseparable. Since it’s premier in 1972, the Royal Oak many models have been manufactured and it is still one of the most prestigious and most wanted watches. In fact a vintage Royal Oak is worth a huge amount of money. When the designere Gérald Genta designed this watch in only 24 hours with the intention to create an unconventional watch suitable for all occasions he became inspired by a traditional divers helmet. Aparently he thought that if the screws holding the faceplate of the helmet were strong enough to ensure water resistance to protect the diver then the same should apply for a wrist watch. With precision engineering and meticulous attention to detail he proved the idea was indeed valid. Not only that but now about 90 percent of Audemars Piguet watches sold today are Royal Oaks with the same faceplates screwed on as he had envisioned. 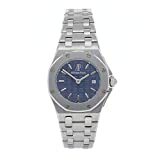 Watch enthusiasts world over are convinced that regardless whether you are dealing with a 1975 Royal Oak or a more recent 2007 Millenary Maserati, Audemars Piguet watches are instantly recognisable amongst thousands of other watches. That’s like recognizing your own child amongst thousands of others. With Audemars Piguet this boils down to a unique combination of luxurious designs, high quality materials, fine craftsmanship, precision engineering and a rich history of watchmaking that makes their timepieces are well worth collecting. This becomes even more evident when you visit online auctions! 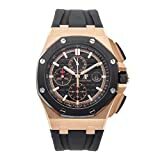 What is the Warranty for Audemars Piguet watches like? 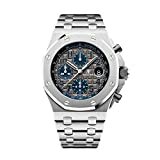 Choose your new Best Audemars Piguet Watch from our Latest and Best AP selection complete with user reviews and insights. 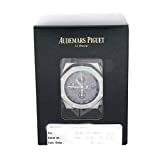 Audemars Piguet are a highly regarded watch brand whose watches are perfect investment watches that hold and appreciate in value and customer satisfaction. Perfect for ultra-high-net-worth inviduals and elite watch enthuisiasts worldwide who can also enjoy wearing them as they are built to last a lifetime. Audemars Piguet supports a number of charity and other non-profit organizations as well as making special watches to be sold for noble causes. The Swiss watchmaker also is keen interest regarding environmental protection causes as well as sustainable development and various awareness-raising activities. Audemars Piguet is proud of its collaborations with various institutions and artists, such as the Bolshoi Theatre and working with Quincy Jones, the famous musical director and producer. Since 1999, Audemars Piguet has sponsored the Queen Elizabeth II Cup, a Group One Thoroughbred horse race in Hong Kong as well as sponsoring Team Alignhi who were the winners of the America’s Cup yacht race in 2003. This partnership resulted in the production of several Alinghi limited editions. Recently Audemars Piguet has gone further in the world of yachting by supporting top-class yachtswomen in the “Ladycat” team. WatchiWatches is delighted to present reviews for this elite watch maker for ultra luxury watch enthusiasts and Ultra high-net-worth individuals. The world of Horology would not be the same without this luxury Swiss watchmaker. Watchiwatches is the premier watch review site and comparison site for the most prestigious and leading Manufacture d’horlogerie. 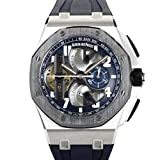 Audemars Piguet have been leading the way for the best luxury Swiss manufactured and most mechanical watches as well as movements since 1839 with hundreds of awards.